Fury FC hosts Montreal Impact September 7. 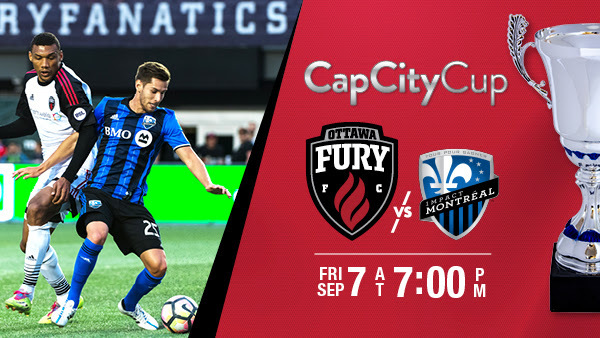 This September history will be made when Fury FC host Montreal Impact in the first ever CapCity Cup, at TD Place on September 7 at 7:30 p.m.
Click here to get your $10 tickets for the first ever CapCity Cup! Make sure to follow the link for your club and look for the Montreal Impact match at the bottom of our match list.